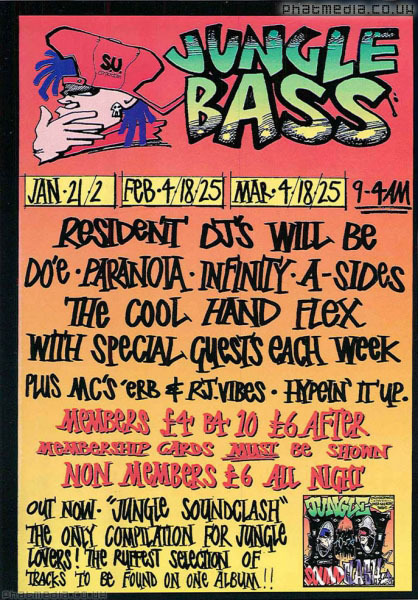 Jungle Bass was being held the night of this recording, It was either 21st Jan or one of the early Feb events. Thanks to MR2 for the original tape rip! Thanks to MR2 for the original tape rip. Thanks to Flatliner for the unreleased track title.